HTTrack Website Copier is a free utility that allows you to download websites from the Internet to a local directory. Once the download is complete, you can browse the website from link to link, as if you are viewing it online. It can also update an existing mirrored site, and resume interrupted mirroring tasks. 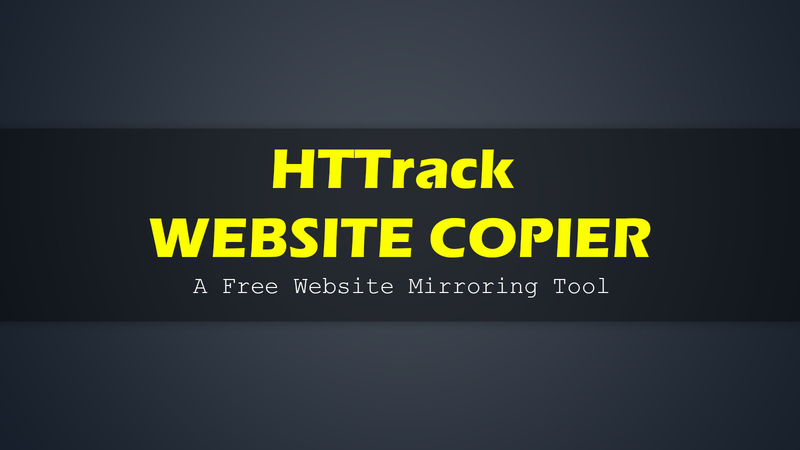 HTTrack Website Copier is one of the best free website mirroring tools in the world. First, download HTTrack Website Copier onto your computer (download links are at the end of this article). Then install it, or run it if it is a portable version. Then you will see a window as shown below. 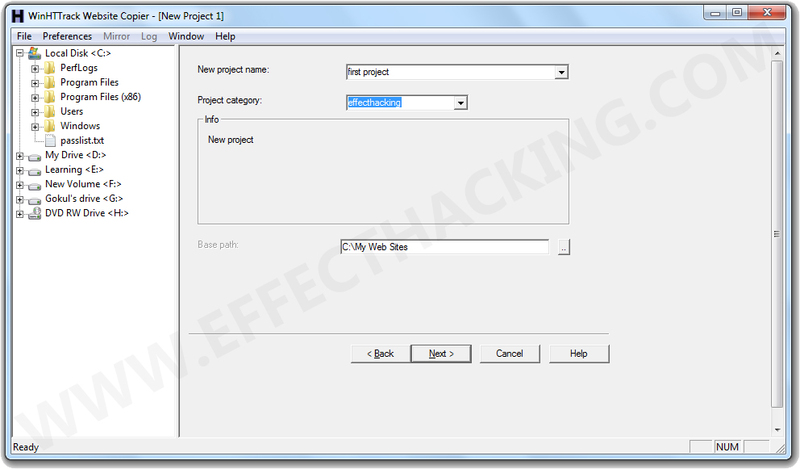 Now, click on the "Next >" button, and then enter the project details such as the project name and category. And, if you want to change the website download location, click on the ".." button which is right next to the "Base path" field, and select a new location. (see the image below). Then click on the "Next >" button, and then configure the "Mirroring Mode". First, select the Action from the drop-down menu, then enter URL(s) or select a text file containing URLs. Then configure the mirror options. Now, click on the "Next >" button. Then click on the "Finish" button. It will start downloading the website (see the below image). Now if you want to see the mirrored version of the website, click on the "Browse Mirrored Website" button, or just browse to the download location (default: c:/My Web Sites), open the project folder and then open the main HTML file (index.html).